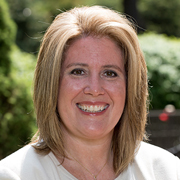 Holly Schepisi was first elected to the New Jersey General Assembly in November, 2011 representing the 39th Legislative District. Currently, she serves on the Assembly Judiciary Committee and the Assembly Homeland Security and State Preparedness Committee. She was also named to the New Jersey Select Committee on Investigation. A strong advocate for the residents of her district and the state, Assemblywoman Schepisi is the leading proponent for local issues such as efforts to retain businesses, finding remedies for the disproportionate funding issues, providing solutions to flooding, or as the loyal opposition to attempts at increasing taxes on Bergen and Passaic Counties She has continued to work to strengthen the rights of crime victims, provide mandatory treatment for non-violent drug offenders, protect drinking water from drug contamination, and deny bail to dangerous offenders. Holly received the 2009 Women of Achievement Award from the Girl Scouts of Northern NJ, was Chair and is currently a board member of The Women’s Institute at Bergen Community College, and is a board member of the College’s Foundation. She also serves as a member of the board for the Foundation for Free Enterprise. She is a trustee for the North Jersey Chapter of Fordham University School of Law’s Alumni Association, a member of Women United in Philanthropy, and was a former advisory board member of Interchange Bank and BridgeView Bank. The Assemblywoman is the founder of her own law firm, Schepisi & Associates, where she practices governmental law, corporate law, land use, employment matters, criminal defense, and structured finance. She is Managing Director of Clear Spring Capital Group, encouraging private investing for job creation. She also serves the public defender for the Borough of Oakland and is of counsel to the firm serving as township attorney for the Township of River Vale. The Assemblywoman currently lives in the Township of River Vale, New Jersey with her husband, Paul, and their two children, Kayla and Easton. Robert Auth is the CEO of Plaza Travel and Insurance Services,a company he founded in 1985. 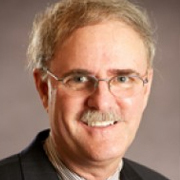 He is a seasoned veteran of New Jersey Insurance policy and regulations, with more than 30 years experience in the industry. Auth has been active in public service in Bergen and Hudson counties for more than 20 years, and until recently he was the chairman of the Northeast Republican Organization, which encompasses all the District 39 towns. Currently, he is the chairman of the Old Tappan Republican municipal committee. For the last 20 years, Auth has worked closely with District 39 State Senator Gerald Cardinale, consulting on matters of insurance,regulatory impact,economic growth and employment opportunities forNew Jersey residents. A member of the Aircraft Owners and Pilots Association (AOPA), Auth has been a licensed pilot since 1982. Auth and his wife, Elsa, have been married for 33 years,and they have one grown son, Maxwell David. They reside in Old Tappan.